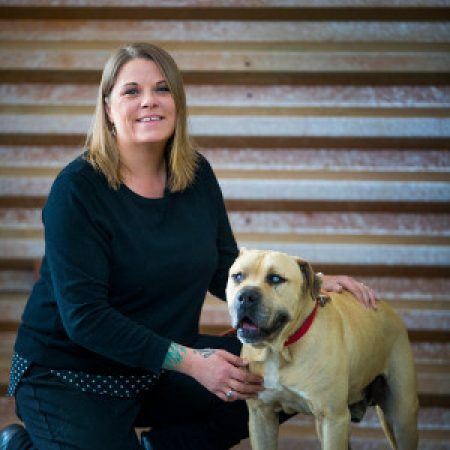 Sarah Aguilar is the deputy director at Pima Animal Care in Tucson, AZ where she has spent the last year developing and implementing processes that have helped to propel PACC into a model of lifesaving. Prior to moving to Tucson, Sarah was a program coordinator at the municipal shelter in Ventura, CA, where she managed their first formal foster program which placed nearly 3,000 animals into foster homes annually and tripled the number of cats adopted through partner pet stores and offsite events. Her experience as the training general manger for a national restaurant chain, combined with degrees in business management and accounting, have enabled Sarah to bring a unique customer service and systemic, data driven approach, to leading a municipal shelter.